FJB Returns to the Swizzle Stick! | Faded Jeans – Arizona's Party Band! ← FJB + Dillon’s BBQ ALL WEEKEND! FJB Returns to the Swizzle Stick! Click this poster and share it with your friends! 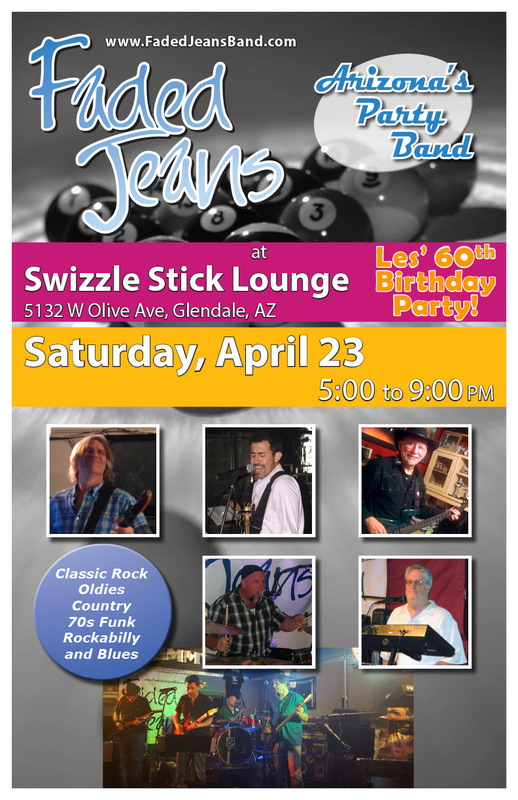 Swizzle Stick Lounge – Les’ 60th Birthday! This entry was posted in Updates and tagged birthday party, Swizzle Stick Lounge. Bookmark the permalink.